When speciality food producer Atkins & Potts was looking to re-brand its products the company turned to Beatson Clark to commission a bespoke glass jar design. The result is a unique 200ml deco jar with a deep twist-off neck finish which will be used for Atkins & Potts’ range of condiments, jellies, relishes, chutneys and mayonnaise. To celebrate seven years in business, founders Nicola and Robert Young wanted to evolve their brand by consolidating their range in a new jar design with updated labels. Beatson Clark’s design team worked closely with Atkins & Potts to create the new jar in response to consumer feedback. “Previously we had two different jars and our customers told us that they liked certain aspects of each one,” said Nicola Young, co-owner of Atkins and Potts with her husband Robert. “They liked the clean sides with no strong shoulders of one of the jars but preferred the shorter, wider jar which was easier to get a spoon into. 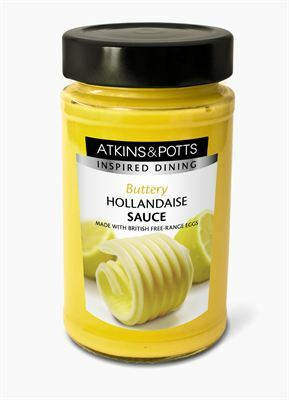 Atkins and Potts is a speciality food brand sold through delicatessens and farm shops in the UK and exported to the United States, Hong Kong, Singapore, Germany and elsewhere. Charlotte Taylor, Marketing Manager at Beatson Clark, said the commission gave the company an opportunity to showcase its flair for bespoke packaging design. “Atkins & Potts use only the best ingredients so they wanted a jar with a clean finish and a premium appearance,” she said. “This unique jar will make their product stand out on shelf and will give retailers another point of difference. To talk to Beatson Clark about bespoke designs or standard bottles and jars from the company’s general sale range call 01709 828141 or email sales@beatsonclark.co.uk. Beatson Clark specialises in providing glass packaging solutions for niche brands in the food, drink and pharmaceutical markets worldwide. The key to its success has been flexibility, innovation and the high quality of its containers. Beatson Clark’s customers are at the core of its business and the company is proud of the long-standing partnerships it has developed thanks to the outstanding level of service it offers. Beatson Clark has a turnover of £44 million and a production capacity of approximately 496 million units or 88,000 tonnes. It has ISO 9001:2000, BRC/IOP Food Packaging Hygiene Standard and OHSAS 18001:1999 Occupational Health & Safety Standard and its manufacturing capability has an emphasis on flexibility to facilitate short tailored production runs. It has a UK distribution centre located in Rotherham. Atkins and Potts is a family owned business which creates and produces speciality food from its kitchens in Newbury, Berkshire.